Below is a list of our favorites. Hope you enjoy them as much as we do. We are constantly updating - so check back in often. And when you buy here, a percentage of sales goes to Aish to continue our amazing programming. Gateway to Judaism delivers an engaging insider look at the mindset, values, and practices of contemporary traditional Judaism. Rabbi Becher demonstrates that Judaism today is anything but anachronistic rites and disjointed rituals. Rather, his book opens a portal to a vibrant lifestyle that brings joy and meaning to Jewish living. Based on years of answering thousands of challenging inquiries, Becher's work blends elements of Jewish philosophy and law with an intensely practical explanation of how Jews actually live. The first volume of Judaism Unraveled explores in-depth the most challenging questions ever asked about Judaism. Every topic about Judaism, no matter how controversial or complex is studied in an honest and candid manner that will appeal to all learners, regardless of their background. In the first volume of this essential series, questions involving the existence of G-d, purpose of life, free will, the Jewish People, and non-Jews are dissected, analyzed, and clarified. No stone is left unturned in this thoughtful and educational work. Readers will find their questions validated and voiced, and cohesive answers given with insight and deep understanding of Jewish tradition and its fundamental beliefs. 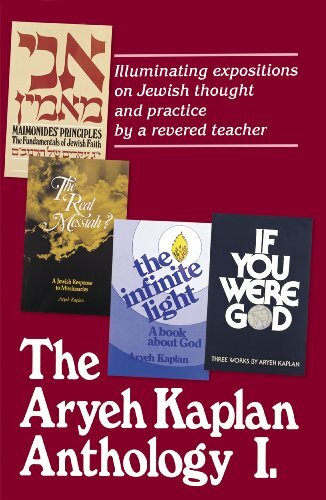 The author references classic Jewish sources to bring forth the power of Jewish thought and practice. This is an indispensable resource that will prove valuable for years to come. Whether asking your first question or your thousandth, there is something for everyone in this timeless source of Jewish education. See for yourself the mystery of Judaism unraveled before your very eyes! For too long, Jews have defined themselves in light of the bad things that have happened to them. And it is true that, many times in the course of history, they have been nearly decimated: when the First and Second Temples were destroyed, when the Jews were expelled from Spain, when Hitler proposed his Final Solution. Astoundingly, the Jewish people have survived catastrophe after catastrophe and remained a thriving and vibrant community. The question Rabbi Jonathan Sacks asks is, quite simply: How? How, in the face of such adversity, has Judaism remained and flourished, making a mark on human history out of all proportion to its numbers? Have you ever asked, What does God really want from me? 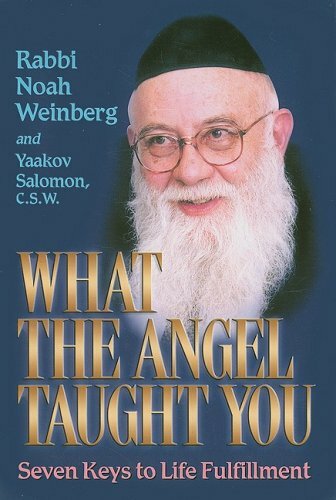 In their ground-breaking book, What the Angel Taught You; Seven Keys to Life Fulfillment, two world-renowned educators collaborate to ask and answer some of the most compelling questions we all seem to have. What does God really want from me? What is the highest class of pleasure in this world? How do I get my prayers answered? How do I know if my decisions are right? What is the definition of love? Are there any absolute truths on Earth? How does free will bring me happiness? Why was Man created? The most perplexing question of all times: does God really exist? And is it really irrational to believe so? 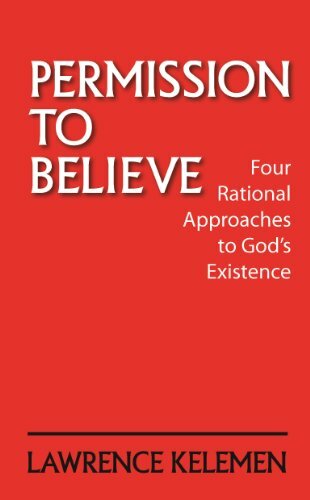 World renowned lecturer and educator Rabbi Lawrence Kelemen, Harvard graduate, examines the case for God in this intellectually groundbreaking book. A well-researched and footnoted work, this is an essential read for any individual with intellectual curiosity and spiritual thirst, and anyone who is involved in Jewish outreach. 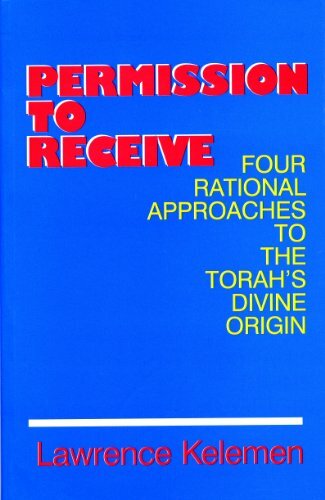 Four rational approaches to the Torah's Divine Origin, for those who value both intellectual integrity and the Jewish spiritual inheritance. Rabbi Akiva Tatz's bestselling, remarkable exploration of Torah patterns & Jewish thought will show you how to live an inspired life! Learn how understanding deep ideas of Torah will greatly affect and enrich your everyday experiences. Drawing on the timeless wisdom of the Torah, Rebbetzin Esther Jungreis reminds us of the principles necessary for living a better and more committed life.Inspirational and deeply moving. This book will touch your heart like no other. This is a time when "spirituality" is in, especially if it is of the do-it-yourself variety. Undoubtedly it is a backlash against the prevailing onslaught of hedonism and agnosticism. But spiritualism unguided by core values is hardly better than the alternative. 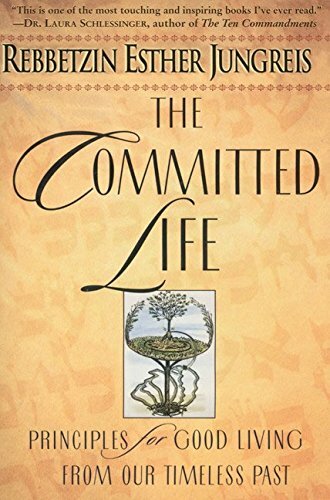 In this book, Rabbi Dr. Twerski looks at dozens of topics in everyday life and peels away the veneer to find the potential for spiritual enrichment. He shows how to pour meaning into even seemingly mundane activities. To the person rooted in a rich system of values, there is no real vacuum in life; all the empty spaces can be filled with meaning. 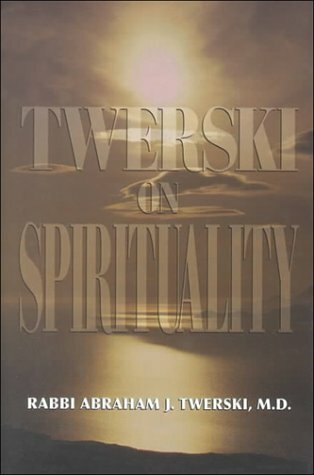 Twerski doesn't preach. He teaches by story, example, and experience. He is a writer who makes us smile as we think, who makes us wonder why we didn't think of that. Best of all, he makes us get up with chin up and shoulders straight, saying, "Adversity, I am stronger, smarter -- and more spiritual -- than you!" Dr. Twerski's earlier works, Living Each Day, Living Each Week, Growing Each Day,Smiling Each Day, I Am I, Self Improvement? -- I'm Jewish!, Mesillas Yesharim -- Lights Along the Way, Positive Parenting, Not Just Stories, Getting Up When You're Down and Dearer Than Life have established his position as a Torah scholar who possesses psychological insights that enhance application of Torah principles to everyday life. 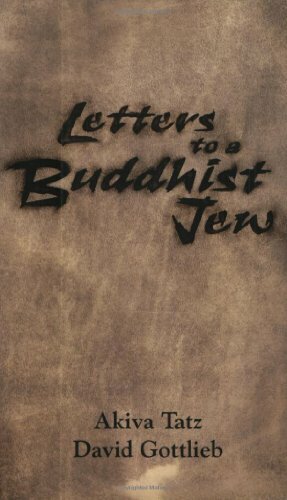 LETTERS TO A BUDDHIST JEW is a collection of letters between a Jew drawn to Buddhism and an Orthodox rabbi. 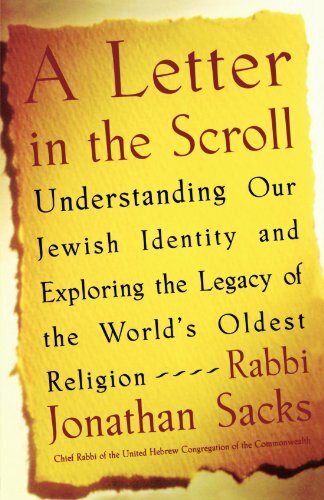 "In this extraordinary exchange, David Gottlieb, speaking from a Zen perspective, pinpoints the critical questions modern Jews are moved to ask of their tradition, and Akiva Tatz, with kindness, patience and consummate skill, answers with the voice of a fully developed spiritual Judaism. This is a fascinating book: the most serious contribution in this field to date"-Zoketsu Norman Fischer, founder of the Everyday Zen Foundation. According to Jonathan Rosenblum, a columnist for the Jerusalem Post, this book is "a 'must read' for any searching Jew." Gottlieb is an award-winning fiction writer and Rabbi Dr. Tatz is a physician and the founder and director of the Jerusalem Medical Ethics Forum. In this Anthology (Volume One) Rabbi Kaplan addresses the classic beliefs of Judaism. What was God's intent through creation? and what is the role of mankind? He also includes essays with regard to Judaism's rejection of the Christian Messiah. By Abraham J. Twerski M.D. 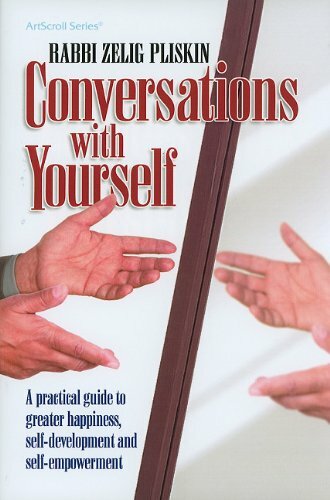 In this practical and supportive guide to self-esteem, Dr. Abraham Twerski explains how most self-defeating behavior stems from a sense of inferiority and that practically no one is immune to its hazards. Through his patients' life stories and the humor of cartoons, Dr. Twerski shows that people are far more capable than they consider themselves to be. His advice comes from his experience in helping over 40,000 patients create better lives. * Recognize the symptoms of low esteem-- such as workaholism, anxiety, and depression-- and how to avoid these emotional pitfalls. * Form groups to create a network of comfort and support. * Identify negative behavior patterns and build the confidence to overcome them. * Defeat the self-image delusions that affect everyone. 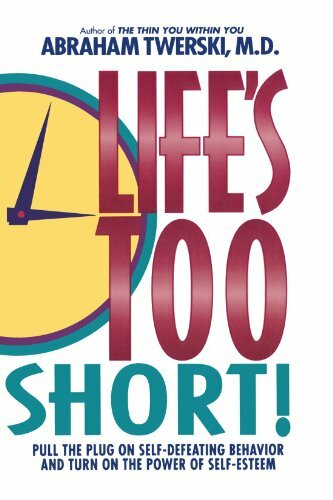 Life's Too Short offers the solutions to problems of inadequacy, shame, and poor self-image. Dr. Twerski's down-to-earth program and optimistic outlook is essential for anyone who feels that life is too short not to live to its fullest. For young Jewish adults who think about Judaism: A lucid, life-changing explanation of Jewish ideas important for today's Jewish teens and their choices. A book especially for young Jewish adults--- written by internationally acclaimed author and lecturer on Jewish Philosophy and Medical Ethics Rabbi Dr. Akiva Tatz of the JLE, London. There's no "talking down" here, there's just straight inspiration and answers to some of life's deepest and most complex questions. Free will, the relationship between man and woman, happiness, getting high and staying high, freedom versus responsibility, individuality, and defining your role in life are just some of the issues explored here. 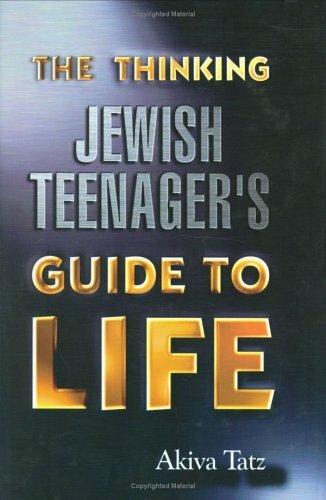 The Thinking Jewish Teenager's Guide to Life is for every Jewish teen who wants ideas and principles to guide their growth to maturity. 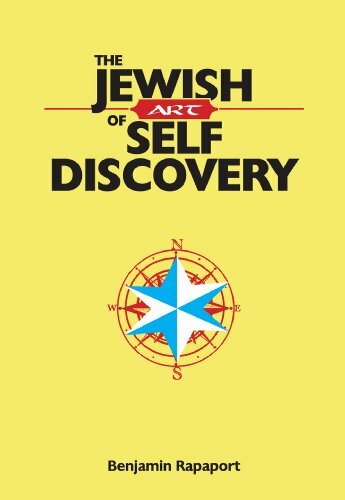 Arguing the self-knowledge is a skill that can and must be mastered, this guide uses the timeless insights into human nature contained in Torah literature as a compass that points the way to self-discovery. Through the use of concise essays, stories, and reflective questions, this book escorts readers along a path to a true understanding of their own natures—a key to being able to become the best versions of themselves. More often than not, our own mental obstacles are holding us back from the joy, fulfillment, and meaning that we all crave, but by retooling our perspectives, we gain the ability to see the path toward the life we truly desire. Charlie Harary, business executive, professor, speaker, and radio host, combines the wisdom of science, spirituality, and personal growth in practical and understandable terms so you can take the life you have and make it the life you want. Everyone has the extraordinary capacity to transform their life. And it’s easier to do than you might think—in order to get what you want, to achieve that sense of greater life satisfaction, all you need to do is learn how to best use the resources you already have. Based on the latest research into the brain’s neuroplasticity, analysis of ancient wisdom, and exploration of the practices of today’s greatest achievers, Harary offers guidance and inspiration so you can break through the clutter and confusion of your life and find your true purpose. Overcoming negative character traits is the essence and purpose of life" (Vilna Gaon). Anger is one of the most destructive traits. It can harm us and others spiritually, physically, emotionally, and socially. Anger, powerful and negative though it is, can also serve as our teacher (see Eruvin 65b). It shows us who we are, what is important to us, our level of self-mastery, and how we cope with adversity and frustration. We must learn from anger and, in the process, master not only it, but ourselves -- because we can. We are not doomed to repeat our tantrums and indignation, constantly and endlessly. We can change. But how? 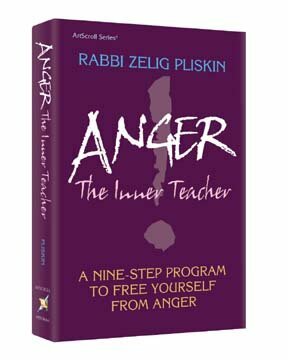 In Anger: The Inner Teacher, Rabbi Zelig Pliskin, a noted author and insightful counselor, presents a nine-step program to help us purge anger from ourselves. The author draws on Torah literature and his extensive counseling experience to build a comprehensive approach for coping with anger. This book is a practical guide offering underlying concepts and practical hands-on tools for decreasing and preventing anger. This step-by-step program is for anyone wishing to gain greater mastery over his other emotions. It also provides a useful model for those in the helping professions. As long as we are alive we can choose to correct the way we live. Anger is a natural human emotion. Refining and transcending it provides us with the opportunity to become the type of human being we wish tobe. Rabbi Pliskin has gained an international following as someone who sets his sights high but keeps his approach down-to-earth. 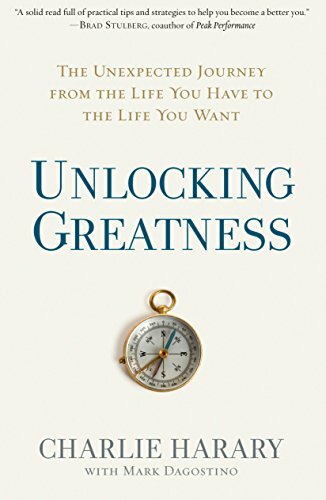 Inspirational but practical, this book -- like its author -- is a realistic guide to a better, more fulfilling life. We've all met the yetzer hara, the inclination to do evil that is wired into every human being. We've been tempted, we've fought - and sometimes we've fallen. Acclaimed author, lecturer and educator Rebbetzin Tziporah Heller and Sara Yoheved Rigler, bestselling author of Holy Woman andLights from Jerusalem, join together to offer a remarkable collection of strategies to defeat the yetzer hara as it tries to defeat us. 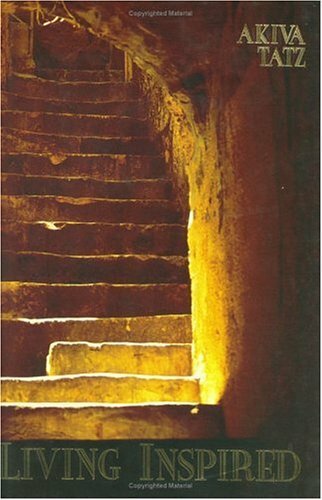 Drawing upon the eternal wisdom of Torah sages throughout the ages - Rabbi Yehudah Lowe, the Maharal; Rabbi Moshe Chaim Luzzatto, author of Mesillas Yesharim; Chassidic masters and great Mussar personalities - the authors combine profound scholarship with a deep and insightful understanding of our lives to give us effective, practical strategies to defeat the enemy within us. 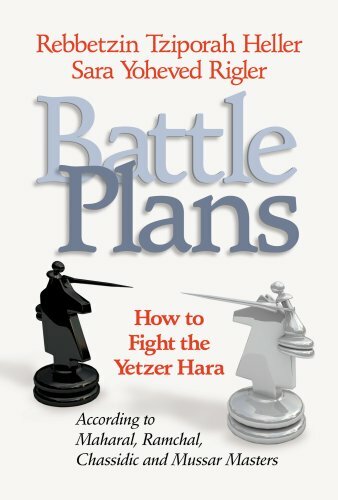 Battle Plans offers us a stunning combination of Torah wisdom, practical advice, true-life stories, and more than fifty "strategies" of war. As we implement these strategies, which have been recommended by our Torah sages, we will see that we can beat the yetzer hara! 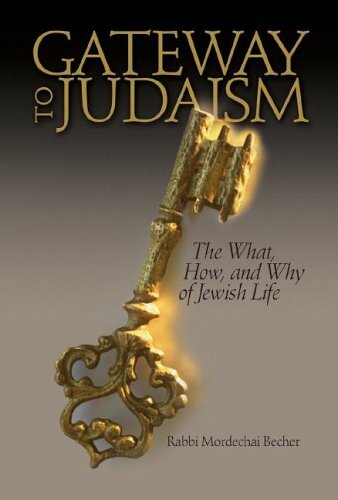 This trailblazing book contains the keys to open every Jew's mind and heart to Torah. Rav Noach Weinberg zt"l was a phenomenon: a visionary, Torah scholar, leader, pioneer in Jewish outreach, and master teacher. Candid, incisive, and passionate, he was fiercely devoted to G-d, Torah, and the Jewish people -- every single one of them. Rav Noach's most famous and impactful course in reaching Jews was the 48 Ways to Wisdom. Tens of thousands of Jews from all walks of life have benefited from Rav Noach's groundbreaking series. The Mishnah describes 48 essential tools to acquire Torah. Rav Noach taught these 48 Ways as all-encompassing guidelines to achieving success in every facet of our lives. Rav Noach used these 48 ways to show: How to listen effectively How to achieve understanding of ourselves How to harness the power of awe and capture the "wow" in life How to maximize time The secret to peace of mind The power of joy Now, for the first time ever, Rav Noach's 48 Ways to Wisdom is available in print. In these pages, you will hear his beloved voice - funny, direct, and above all, exceptionally wise. Are men and women equal in Judaism? Is equality even a Jewish goal? If it isn't, how do we reconcile a just G-d with inequality? In a society in which it is no longer clear who brings home the dough and who bakes it, who changes the baby and who changes the tires, what does it really mean to be male or female? Should gender make any difference in our life, or should we all just do what we are good at and forget labels? These are burning questions in a society where norms are changing at a rapid clip. 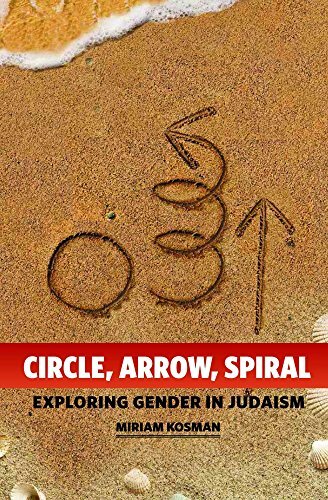 Beyond the great divide between the "men-and-women-are-equal-but-different" camp, and the "Judaism-is-patriarchal-and-must-change" camp, Circle, Arrow, Spiral: Exploring Gender in Judaism offers a paradigm shift. Delving into the Midrashic underpinnings of the struggle for equality and its philosophical ramifications, this book explores how female angst plays a cosmic role in awakening humanity to a crucial process. In the second half of the book, the author addresses some of the thornier issues relating to men and women in Jewish law - including the marriage and divorce structure and public versus private roles - exploring them through the prism of the paradigm built in earlier chapters. Understanding this paradigm sheds light on the entire male/female dynamic and offers insight into navigating this crucial relationship in real life more successfully. This groundbreaking book peels away layers of diatribe and illuminates the power of the female force in history, in society, and in our deepest relationships. It shows how the entire universe is divided along the fault line between male and female and all of life is an eternal dance between these two forces. It is a book about who we are as human beings, as men and women - and as Jews.